Preheat oven to 350 degrees. Melt butter in 9 x 13 casserole dish. Separate half cup sugar, all of cinnamon & nutmeg. 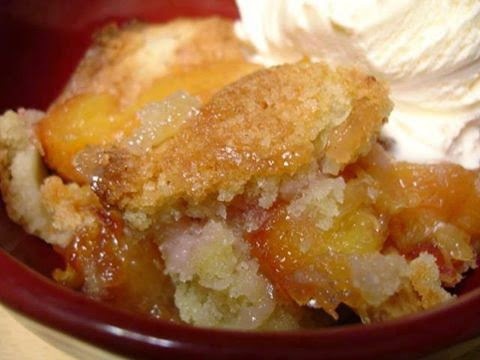 Separate peaches from syrup.